WINX'S "window of perfection" shows no signs of closing as she is readied for the $5 million Cox Plate (2040m) at Moonee Valley on Saturday. Trainer Chris Waller believes Winx is at the peak of her powers as the great mare strives for a record fourth consecutive Cox Plate. Winx is a seven-year-old mare but age isn't catching up with her just yet - and neither are her rivals. The Hall of Fame champion is aiming for her 29th consecutive win, a world-record 22 at Group 1 level and an unprecedented fourth Cox Plate. "I feel Winx is the same as she was 12 months ago - she has never been better,'' Waller said. "In her first couple of Cox Plates (2015, 2016), she was a weaker horse and still maturing, so realistically we have only had a 12-month window where she has been at her peak. She is in that now. 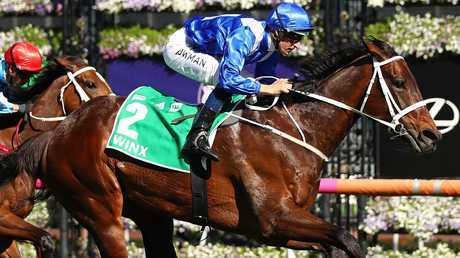 Winx is the $1.22 favourite with Ladbrokes' fixed-odds betting to continue her winning streak. Waller believes Winx's longevity can also be explained by the absolute superiority she has over her opposition. "Because she is so good, she doesn't ever get put under that ultimate pressure,'' Waller said. "So, she is going to work every day but she is enjoying her work. Form guru Gary Crispe said there was no reason to doubt the champion mare wouldn't claim her fourth Cox Plate on Saturday. Crispe agreed Waller's meticulous management of Winx ensured the mighty mare had retained her imperious form over such an extended period. Waller has given Winx three lead-up runs this spring, which Crispe notes is a similar preparation for the mare before her eight-length romp in the 2016 Cox Plate. "Winx produced an enormous performance to win the Cox Plate two years ago when she posted a then career-best Timeform racing of 133,'' Crispe said. 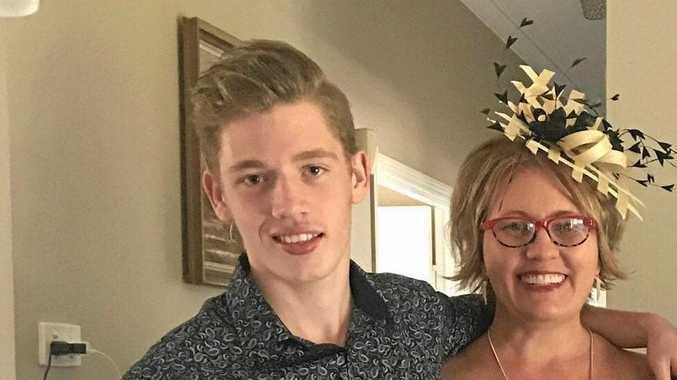 "She won the Warwick (now Winx) Stakes and George Main Stakes at Randwick followed by a 2000m tune-up in Melbourne in the Caulfield Stakes that spring. But this year, Winx follows a similar path, just switching out the Caulfield Stakes for the Turnbull Stakes a week earlier. "A ratings comparison of the two campaigns shows Winx running 126, 122, 125 in 2016 and 126, 129, 123 in her three runs this spring. Crispe said Winx's closing sectionals to win the Turnbull Stakes last start were "quite simply amazing". She reeled off a final 600m in a brilliant 32.21s, 400m in 21.47s and last 200m in 10.87s. "She ripped home in times almost untouchable for our champion sprinters and she did it at the end of 2000m - winning with room to spare on the line,'' Crispe said. "Such tactics wouldn't be advisable against stiffer opposition around the Valley, but the Cox Plate looks to set up for Winx to take up closer order. Crispe identified Godolphin's Benbatl the most likely challenger but noted his peak Timeform rating of 125 was considerably short of Winx's 134. "Benbatl has to give her weight, so for all the build-up he is potentially just another victim for an on-song Winx,'' Crispe said. "Humidor chased home Benbatl last time in yet another solid performance this spring. "His whole campaign has been building towards this race and it's not insignificant that horses that have run well in Cox Plates previously have continued to do so again over the years. 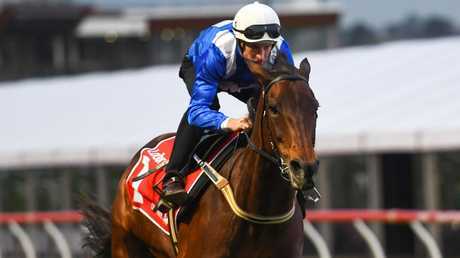 "There's undoubtedly a 'horses for courses' element to the race and Humidor fits that bill, having posted a career-best when stretching Winx last year. "But faces a different Winx on Saturday as there's little doubt that she is at her top this year. WINX is a winning machine but what is she really like off the racetrack? 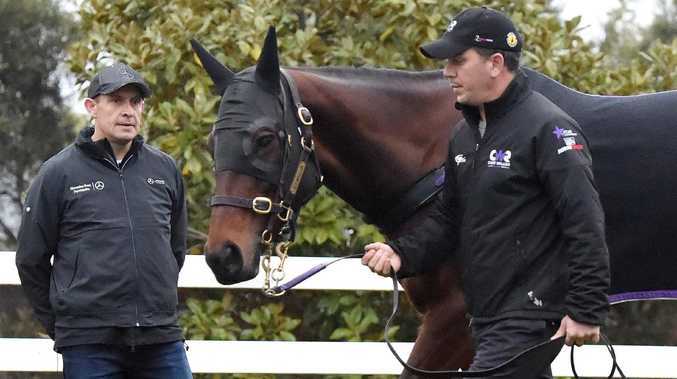 Trainer Chris Waller gave a revealing insight into Winx's character during one of a myriad of interviews he has given this week leading into the Cox Plate. "Horses are gentle animals but they can be quite boisterous and strong,'' Waller said. "They can step on your foot or push you over, not in a harmful way but because they are so big. 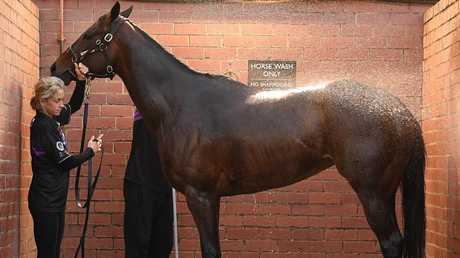 "Winx is 530kg but very placid and after a gallop I can lead her back in on my little finger. CHAMPION jockey Hugh Bowman seems impervious to the crushing pressure that comes with riding Winx - most of the time. Bowman admitted that the moment nearly got the better of him when Winx was coming out onto the track for the 2016 Cox Plate. "I got a bit emotional before the race, all the attention, I wasn't prepared for it,'' Bowman said. "But once we got out onto the track and cantered down to the start, I was right. IF Winx claims her 29th successive win in the Cox Plate on Saturday, she will take her overall career prizemoney to a staggering $22,914,924. She will vault from sixth to second in the world's all-time leading thoroughbred earners behind only Arrogate on $24,883,758. WINX can also equal the achievement of another popular Sydney champion, Tie The Knot if she wins her fourth successive Cox Plate. Tie The Knot remains the only horse to win the same Group 1 race four years in succession when he took out the Chipping Norton Stakes from 1999 to 2002. Hall of Fame sprinter Manikato did win four Futurity Stakes but that was across five years. When attempting his fourth consecutive Futurity he was upset by Galleon. Manikato also won five successive William Reid Stakes between 1979 and 1983 but the race wasn't elevated to Group 1 level until 1987. THE topical tip for Cox Plate weekend is the four-year-old mare Pierrocity, a runner at Morphettville Parks on Saturday. Pierrocity's sire is Pierro, a third placegetter in the 2012 Cox Plate, while her dam is Dane Ripper, winner of the 1997 Cox Plate.